Are you doing everything you can to help strengthen your bones? Learn more about Prolia® by watching this video. 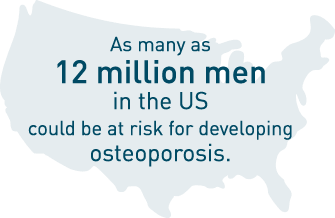 Prolia® helps improve bone strength in men with osteoporosis at high risk for fracture. Please join us, no RSVP required. If you don't see an event in your area, please note that we are planning more events to come. Please check back later to see if there is one near you.